In partial fulfillment of the requirements for the degree of PhD, Art Education. 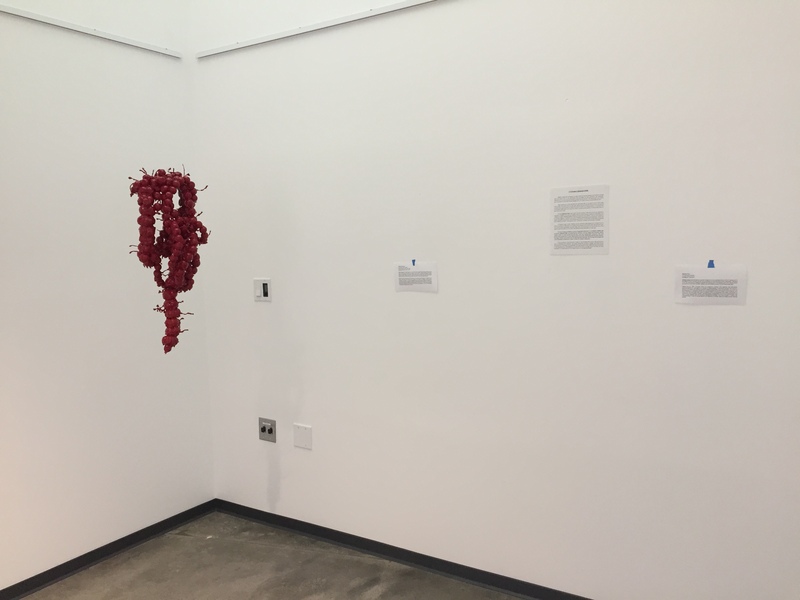 “Friends with Benefits” is an exhibition by University of Missouri student Bethanie Irons, in partial fulfillment of the requirements for the degree of PhD, Art Education. 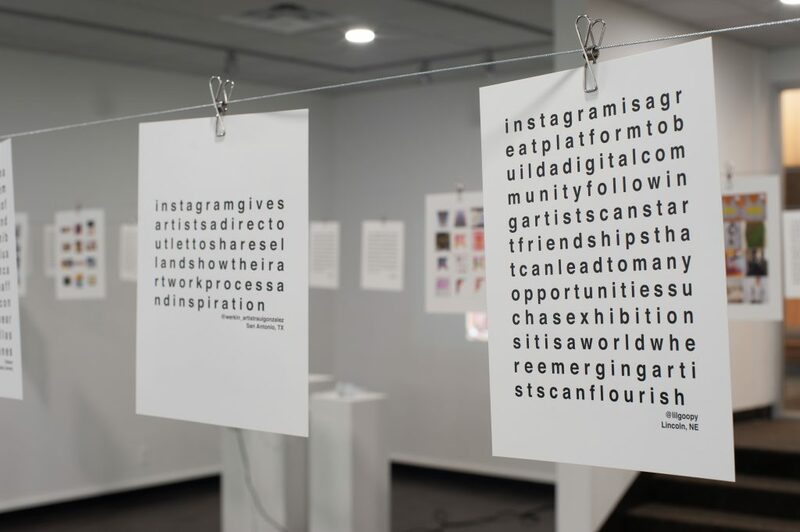 This exhibition focuses on the marriage between materiality and technology and examines how artists, teachers, and researchers can embrace the potentials of engagement with online art communities. 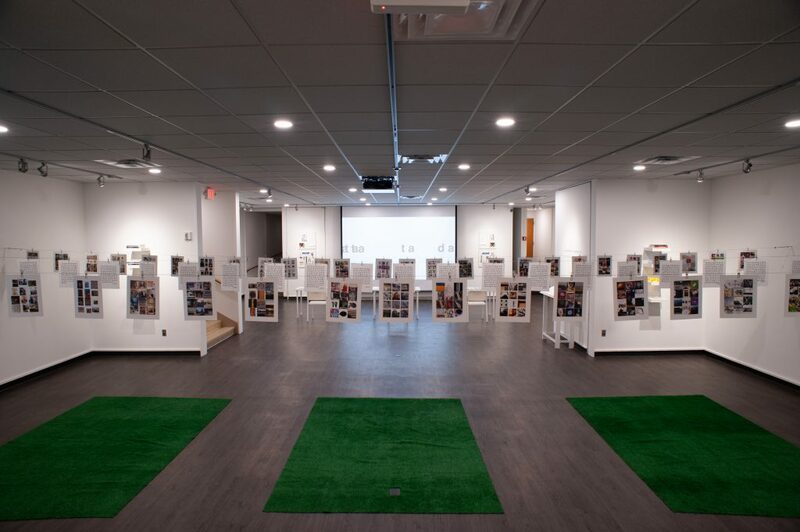 Through this collaboration, thematic lines of inquiry and collections are shared, re-orienting the thought process of the viewer and establishing them as both a participant and maker of content and cooperative experiences. Bethanie Irons is an artist, educator, and curator. She earned her BFA in painting from the University of South Dakota and her MFA in painting from the University of Missouri. She is currently a PhD student in Art Education at the University of Missouri, with an emphasis in college teaching and teaching with technology. Bethanie has shown her work internationally, including exhibitions in Germany, United Kingdom, and Australia and has been featured in numerous print publications including New American Paintings and Friend of the Artist. Since 2015, she has curated the online-only gallery PLEAT. “Magic 8 Ball” invites the viewer to reimagine trust in consensual physical touch in a soft, silly way. The piece is rather simple, the performer (in this case me) will sit in a chair holding a magic 8 ball and face the audience or viewer. In front of the performer is a bowl filled with a wide array of silly questions, such as “Can I tap your knuckle? Will you read me a poem? Can I tell you a secret?” Without knowing what’s in the bowl the viewer will pick a question at random, and if they decide they consent to the activity, they ask the performer. Then the performer shakes the 8 ball to decide the answer. Hmodern Hmong & Science Fiction & Fantasy Poetry Association (SFPA) is celebrating their 40th Year Anniversary during Asian Heritage Month with Fresh Off the Starships – Diasporic Asian Narratives. I’ll be headlining along with Bryan Thao Worra, Lauren Andrei, and Hauntie! </3 embodies the unspoken heartache in relationships with family, home, lovers, work, neighborhoods and ancestral colonial trauma. 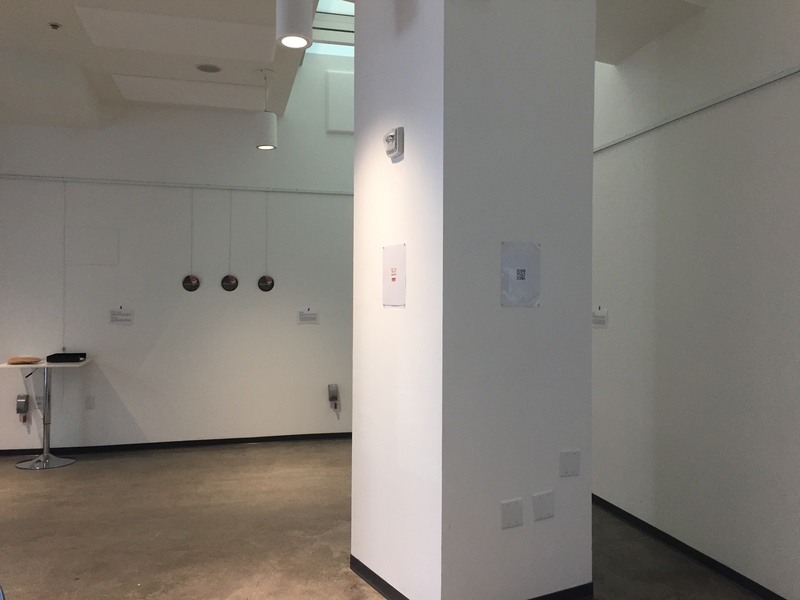 The exhibition provides a space specific to the experiences of API womxn and GNC, queer and allied artists who pull from their experiences of resistance and healing to address, navigate and interrogate heteropatriarchal and homonormative forms of love, care and representation. 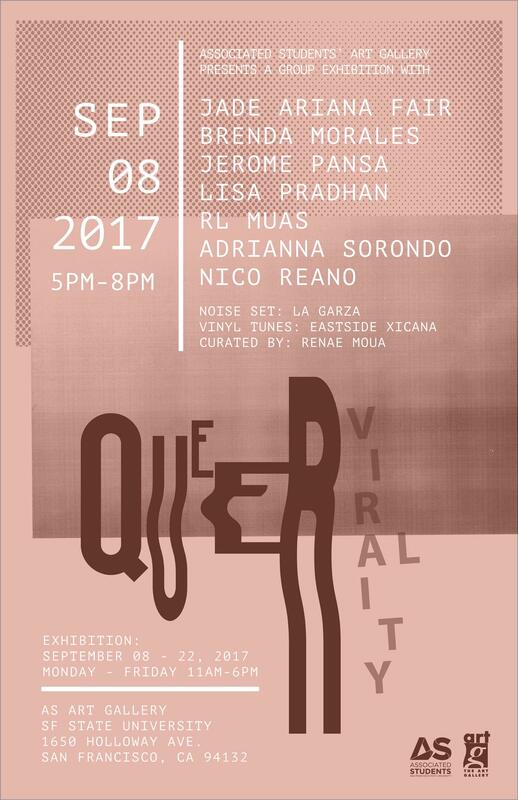 Features local QTPOC DJs, light refreshments, and live readings and happenings. Erina C Alejo Karen Chin Mariela G. Montero Marlene Iyemura Shelley Kuang Diana Li Lisa Pradhan Dorothy Lee Mallika Roy and more. Appendix is a growing collective of multi-ethnic API womxn and GNC, queer and allied artists whose practices in the Bay Area work to reclaim personal, intimate and diasporic narratives of intergenerational memory, healing, and trauma. Formed in 2016, through an eponymous exhibition at the Pacific Heritage Museum, Appendix artists draw from a wide variety of 2d, 3d, experimental, and digital media and conceptual frameworks, such as Asian Futurism, Fluxus, and autoethnographic modalities. Folx in the collective blend together art, education, and organizing, with the goal of creating cultural change through tender moments of healing. In community, Appendix members work with Kearny Street Workshop organizing APAture, show and learn from the Asian American Women Artists Association, produce community art with the Asian Art Museum, and organize SoMapagmahal an Alternative Exposure-funded youth photography mxntorship program at Galing Bata. <\3 (aka text emoticon of heartbreak) in blue, aqua, and magenta with glitch aesthetic on white background. 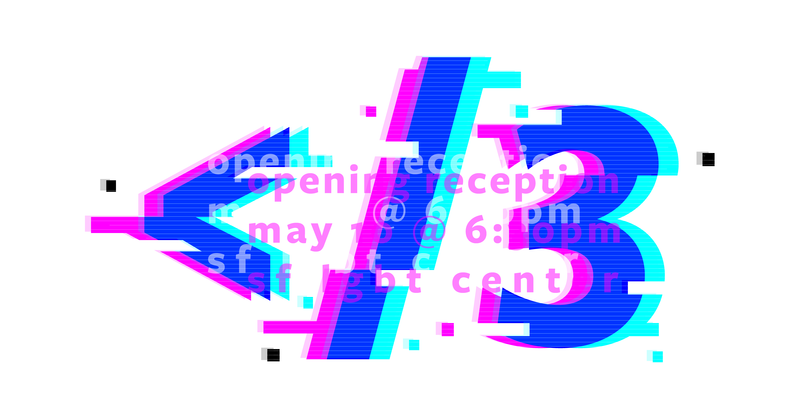 Text overlay within graphic in blue and magenta: opening reception, may 10 @ 6:30pm, sf lgbt center. Come celebrate the official launch of Feels’ fifth issue, Wanderlust! Bring your friends, grab a treat & a copy of the issue, and chat with creators Hannah Browne & Sarah Vardy and some of our lovely contributors. We’re very excited to be launching this issue at Antikka – Cafe & Records! A lovely new shop at Queen & Ossington. Back issues will also be available in limited quantities, as well as our ‘Feels’ enamel pins. Aaron Manczyk, Frank Turner, Theo Wong, Maia Boakye, Chloe Hill, Emily Hines, Megan Joyce, Miguel Garcia, Holly Edwards, Amelia Best, EA Douglas, Ryan Stewart, Grace Batista, Rebekah Maurice, Rebecca Leach, Lindsay Rosset, Sophie Berg, Lisa Pradhan, Jared Durelle, Colleen Conroy, Christopher Manousos, Spencer Folkins, Anu Randhawa, Anjie Beltran, Julia Hawthornthwiate, Amanda Caswell, Jean-Phillipe Allamby, Jason Patrick Anderson, Erin Pehlivan, Jessica Felicity Kasiama, D Carey, The Wanderly + many anonymous contributors. This photo was taken at a performance of Chhori at Dear Mother at San Pablo Gallery in March 2018. Actors seen are Diana Li (left), and Erina Alejo (right). When my mother moved to America she brought two suitcases filled with shoes, clothes, sarees, and jewelry. Objects not included: How to Raise an American Daughter. Chhori: Mummy Yo Mhyah – Holding on for Dear Life is a process zine modeled after the language and conception typified in Yoko Ono’s conceptual art book Grapefruit. By replicating the Fluxus attitude and language of scores and instructions, Chhori, explores the magical realism of hyphen American mother-daughter relationships with humor. 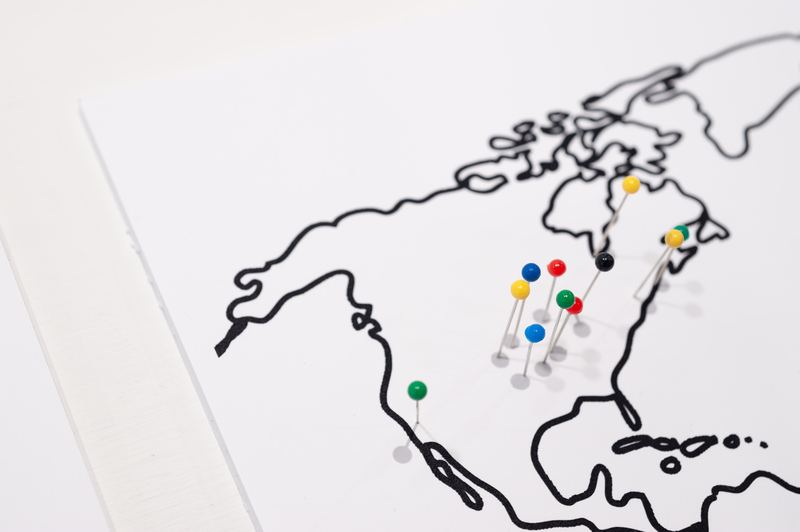 It asks — in the disorientation of diaspora, what do we pass down to our children? By stripping the complicated, transnational identity construction of diaspora to the lowest common denominator of most basic interactions, Chhori documents how the liminal world of gestures replicates larger contemporary Nepalese matrilineal of care and renegotiations of hegemonic cultural scripts. This zine explores themes of Queerness, Sexuality, Arranged Marriage, Formation of Community, Destruction of Community, Abstinence, Dating, Womanhood, Hospitality, Respectability politics, Consumerism, Guilt and nonverbal communication. Additionally, this zine serves as a manual, documenting what’s already been lived through while describing the potential for time travel, space travel, and the exploration of the perhaps, leaving room for something wild to occur. 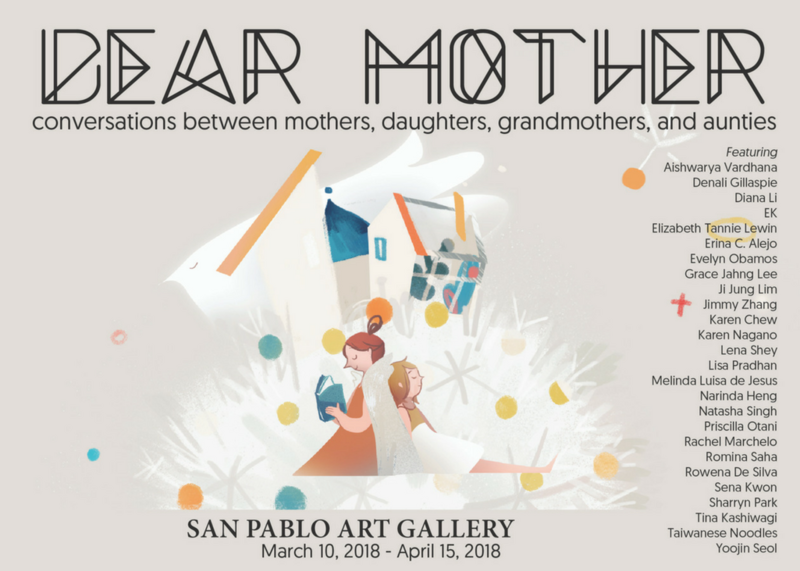 Dear Mother explores conversations between mothers, daughters, grandmothers, and aunties. With a strong political and generational backdrop, these legends are passed down through time, guided by strong womxn to create and empower strong womxn. Through film, literature, and visuals, these artists illustrate the pain in beauty and the beauty in pain. As such, we expand our vision of transnational hope, strength, and ambition. This exhibition runs from March 10, 2018 to April 15, 2018. 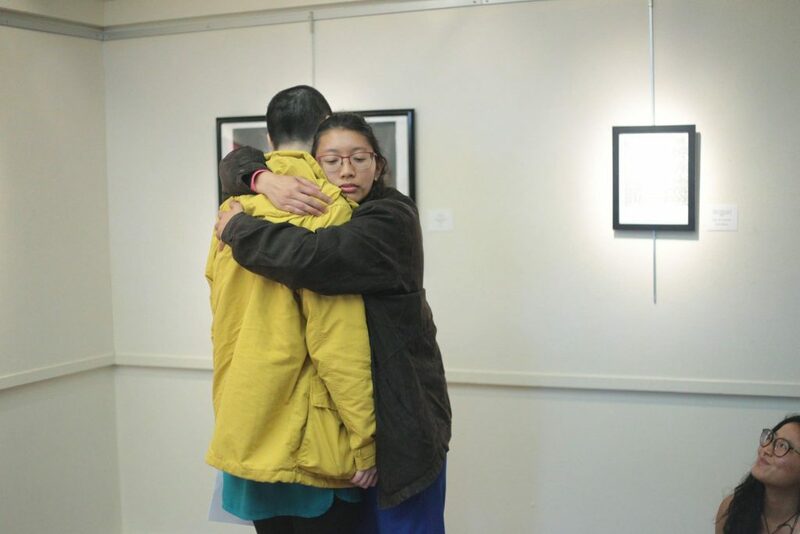 Artists: Aishwarya, Vardhana, Denali Gillaspie, Diana Li, EK, Elizabeth Tannie Lewin, Erina C. Alejo, Evelyn Obamos, Grace Jahng Lee, Ji Jung Lim, Jimizee, Karen Chew, Karen Nagano, Lena Shey, Lisa Pradhan, Melinda Luisa de Jesús, Narinda Heng, Natasha Singh, Priscilla Otani, Rachel Marchelo, Romina Saha, Sena Kwon, Sharryn Park, Tina Kashiwagi, Taiwanese Noodles, and Yoojin Seol. ⭐ SPIKE DOUGHERTY is a young k9 poet & collaborator living in Oakland. Find work at claydoughworks.tumblr.com. Email projects to spikedougherty@gmail.com. 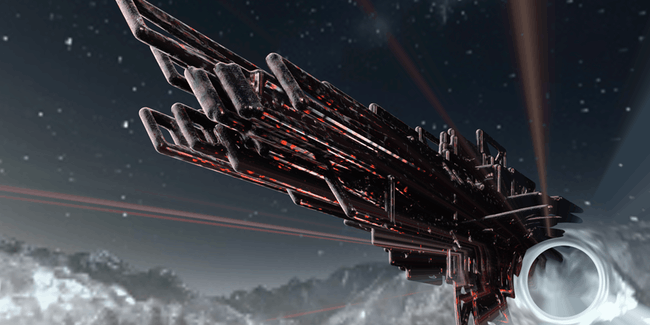 Pick up multimedia collaboration Fields, Rituals & Distance on Oct 21st. ⭐ ZACH GOLDBERG is a North Carolina-born writer, performer, and educator. A student of the Page Meets Stage movement, his work navigates issues of family, identity, and history. Zach’s manuscript “XV” was a finalist for the 2017 Bird’s Thumb chapbook prize and is forthcoming in one formor another. Catch him in in Oakland, where he lives with a motley crew of 13 adults and 2 toddlers, or San Francsico, where he works as a theatre arts administrator. ⭐ LISA PRADHAN is a Nepalese-American writer and multimedia artist. Lisa’s poetry explores themes of nostalgia, heartbreak and loss, delving into the anxieties and tensions underpinning moments of pause in life. Recently, Lisa collaborated with the Buddhist Peace Fellowship for its project on Asian-American Buddhists and has previously written and spoken at Smith College about Nepalese diasporic studies. Currently, Lisa is involved with KSW’s APAture Performance Art General Planning Committee and the API artist collective, Appendix. ⭐ MAYA SISNEROS is an Oakland-based writer whose poetry and fiction chronicle identity, alienation, and lines of f/light. Maya has performed for Quiet Lightning and Get Lit, and her non-existent chapbook’s been in the making since for-e-ver. PRESENT TENSE (previously known as “ABLESEA”) is a living room art/community space located on the border of Oakland and Berkeley. 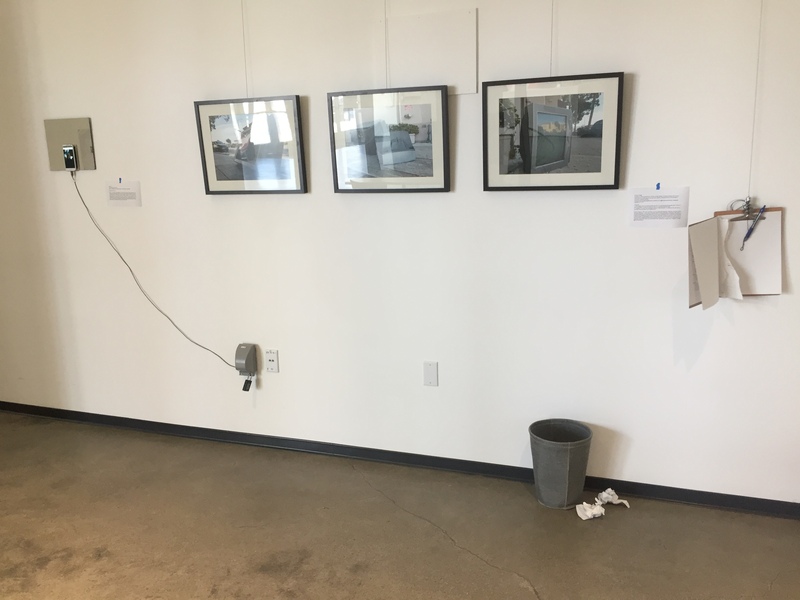 Established in the fall of 2016, the space has featured local Bay Area artists in exhibitions related to the topics of ‘Resistence’ and ‘Progress’. The apartment is located on the third floor of a complex. Unfortunately, there is no elevator in this complex 🙁 This building admittedly has very poor accessibility.